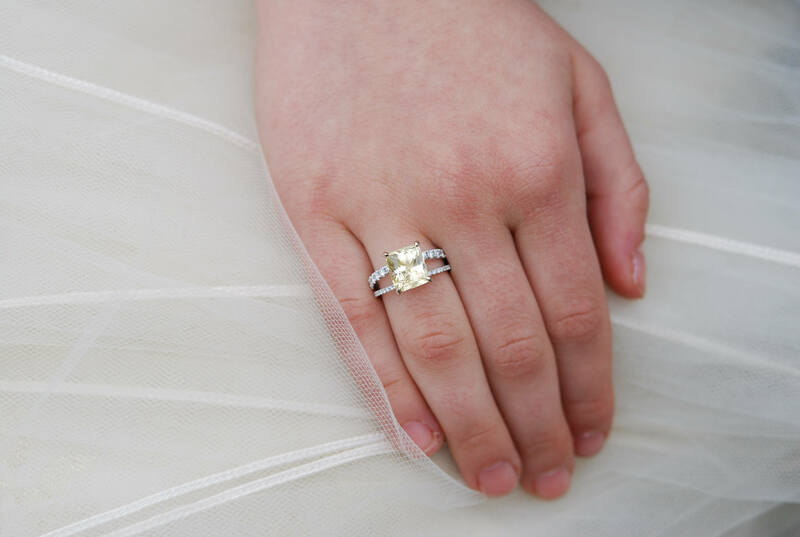 Yellow sapphire engagement ring by Eidelprecious. 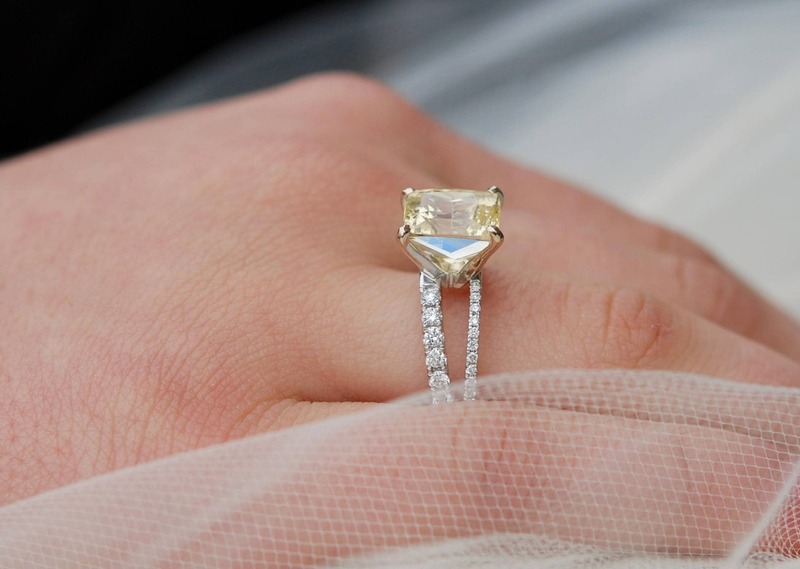 This gorgeous ring features 5.46ct champagne yellow sapphire in emerald cut. 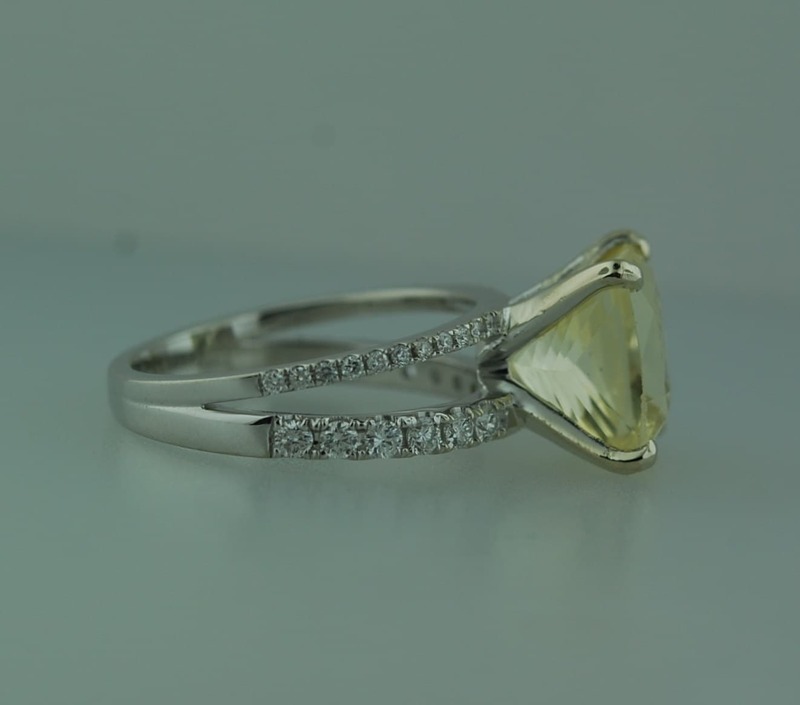 The stone is beautiful, unheated, very sparkling diamond-like sapphire certified by GIA. 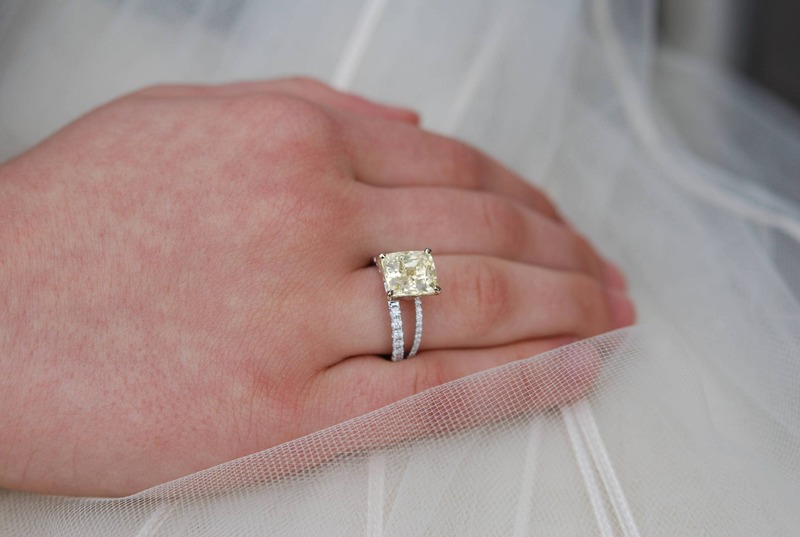 The setting is 18k White gold set with diamonds, SI/H, TDW approx. 0.4ct.